Foundation of the Council of the German American Conference at Harvard e.V. | Harvard GAC e.V. Foundation of the Council of the German American Conference at Harvard e.V. 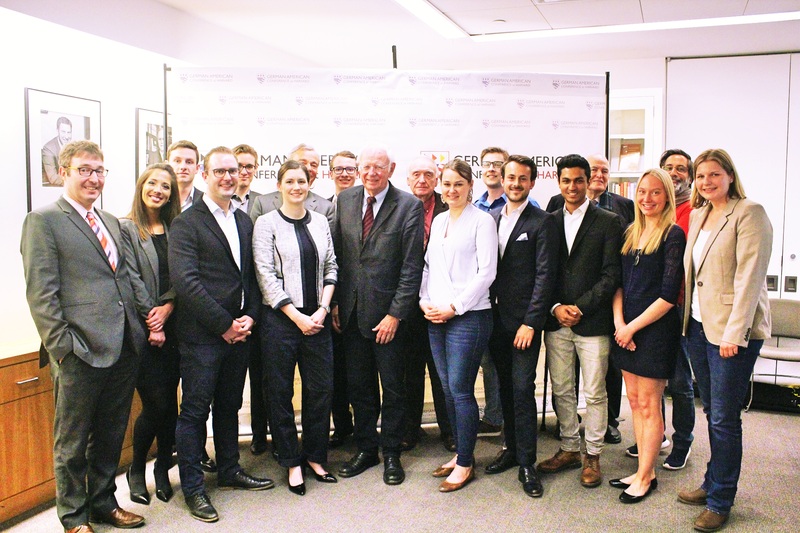 Through the foundation of a Berlin-based Council, the German American Conference at Harvard (GAC) receives an even stronger connection to economy, politics, culture and media on both sides of the Atlantic. For eight years, the student-led Conference attracts hundreds of students and young professionals to the US East Coast. Prominent speakers like Dr. Frank-Walter Steinmeier, Dr. Klaus Kleinfeld, Dr. Ursula von der Leyen, Thomas Gottschalk, Kai Diekmann and General Michael Hayden illustrate the status of the Conference and which role it plays in the transatlantic friendship. With its network of GAC affiliates and Harvard alumni, the Council aims at carrying the reputation and popularity of the Conference over the border of the US. The aim is to promote the new generations of students and to hereby build a unique community of established and aspiring leaders in the U.S. and Germany to inspire leadership, foster dialogue and promote innovation. The Council wants to further develop the Conference to a German-American summit. It combines the ideals of the organizational skills of students, development of socially responsible leaders, promoting transatlantic exchanges and social relevance. Board members Frederic Rupprecht, Noshad Irshad, David Middlebeck and Fredrik von Bothmer were already able to convince German ambassador to the US, Dr. Peter Wittig, former German ambassador Prof. Klaus Scharioth, Consul General in Boston, Dr. Ralf Horlemann, Prof. Karl Kaiser, Dr. Annette Julius, Prof. Mathias Risse, Dr. Guido Goldman, MdB Jürgen Hardt, Bodo Liesenfeld, as well as Prof. Miriam Meckel for the Presidium of the Council. The term "student-led conference" with transatlantic connection remains faithfully with regard to the Council: Its vision is to connect current leaders with the next generation of "Bright Minds" from Silicon Valley over Washington, D.C. to the German capital, in order to actively shape the transatlantic future. There are many ideas for the Conference as well as for new formats in the US and in Germany. The first event is already planned: a kickoff Forum in October 2016 in the Federal Foreign Office in Berlin with prominent speakers and all members of the Council.